Last week as I was photographing wild flowers. I noticed a pile of trash mixed in with the beautiful flowers. It reminded me of Don’t Mess With Texas anti-littering campaign. Living in Florida I got very tired of people mentioning that every time something was said about Texas. It seems that non-Texans thought it was funny to throw that phrase out of context. Oh, and most who use it think they are being witty, funny or original. Many actually believed it came from the Alamo. Probably the same people that thought the U.S. won the Battle of the Alamo. Yeah, I know that the US wasn’t fighting and that Mexico won that Battle. They are actually surprised to learn the real origin of the saying. Texans are very familiar with the Don’t Mess With Texas campaign. The campaign features ads like the one below staring famous Texans. 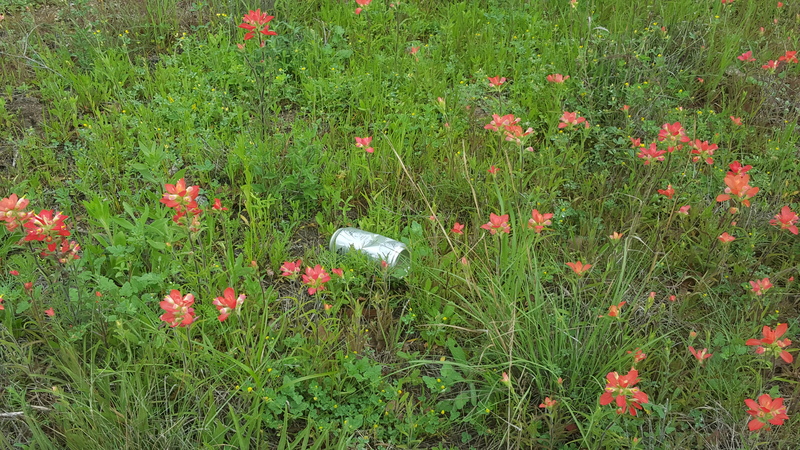 So while you are out enjoying the wildflowers remember to clean and Don’t Mess With Texas.